Women Educating, Learning and Leading (WELL) has a long and interesting herstory. ​It started as WOMEN IN EDUCATION AND LANGUAGE LEARNING (WELL) NETWORK at Nagoya JALT, November 4, 1995, where 14 Japanese and foreign women language teachers gathered to discuss their concerns as women educators and brainstorm plans of action. Jackie Beebe, Dierdre Blackmore, Mary Ann Decker, Linda Donan, Cynthia Huff, Katharine Isbell, Yumiko Kiguchi, Keiko Kikuchi, Alice Klahl Lachman, Cheiron McMahill, Naoko Mori, Ethel Ogane, Kathy Riley, Jill Ann Robbins, Julie Nelson Uga, Eiko Ujitani, Miyuki Usuki, Roberta Welch, and Amy Yamashiro. 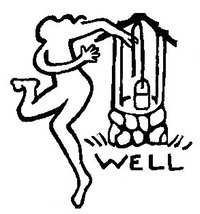 The FIRST WELL RETREAT was held on February 26-28, 1996. The eight workshops at the first WELL Retreat covered AIDS, sexual harassment, lesson planning for feminist classes, teaching women’s studies and literature. Women came from as far as Kyushu with all stops in-between. The name was later changed to Women Educators and Language Learners, and then in 2018 to Women Educating, Learning, and Leading. WELL Retreats 1997 to 2007 (For 2008 and later, use the pull down menu). Workshops included “Sparking Rain: Lesbian Literature from Japan”, “Foreign Women’s Reactions to Japanese Language Interactions”, “Talk Circles”, “I can write my name: Women’s literacy education in Nepal”, “Learning to love What exists: An Introduction to the work of Byron Katie”, “Balancing Act: Mind, Spirit, Body in a Changing World”, “Journalistic Feature Writing: Bridge between Culture and Rhetoric”, “Talk Circles”, “Refresh and Revitalizes with Rhythm”, “Yoga and Pranayama”, “poetry/gender/war”, “The Role of Social Workers in Japan Today"